Ummm..this is going to be a little difficult. I was born and brought up in the Middle-East, and am a kappa-and-meen-curry one at heart. Like any other kid mesmerized by the magic of movies, I also fell in love with the medium from my first movie onwards. Its a love story that still goes strong, as years go by. Personally, this is also my effort in archiving, collating with (hopefully) the help of an equally devoted million-strong community that spend their time online, searching for information and trivia of their gods of yester years. Until the software visionaries find out the easiest way to transfer the Malayalam language into cyberspace without any hiccups whatsoever, we will continue to reasonably converse in English and Manglish to keep this effort going through our active engagement. This is my way of giving back to a medium of entertainment, that has held me by my heart, enthralling and entertaining me, taking me on trips of sheer joy, bliss and adventure as far as I can remember. And I enjoy every minute of it. Hope you do too, while you are here. Why the anonymity? It is always nice to put a face to a name. Someone called you Gopala Krishnan sir. Is that right? Which generation are you from? Where are you located? 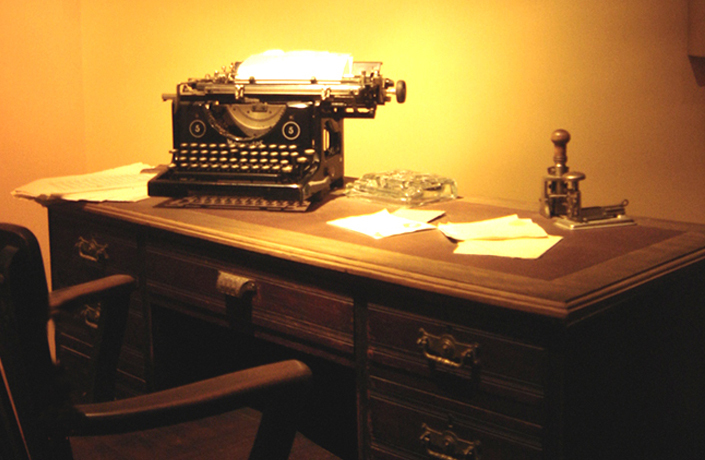 How do you write so well? How do you get time to watch all these movies. What do you think of the later movies (those of Mohanlal and Mammooty in the mid 80s and 90s… What about all the experimental stuff that goes on these days? great blog. I love to pass through sometimes and read some articles. Thank you Treesa. If you have noticed, it has been lying fallow for some time now, but guess it doesn’t matter when our love for the old Malayalam movies just kind of overcome it all 🙂 Thank you once again for passing through. Is it possible to get the song “Kanni kathiradum nal, nale kani choodum nal, nellin kalyana nal…”. I do not remember anything except these lines like the singer or the movie/play!! where I can get hold of a copy of OLAVUM THEERAVUM (Dir. P. N. Menon, 1969, Malayalam) with English subtitles? films,its actors and fans alike. i now live in NY but when ever i get time i go back to the films of the 80’s. i grew up watching, nazeer, soman. sukumaran and other actors of the era. but i was very impressed by jayan, the angry young man of mallu films. i still watch his films. i have great appreciation for mohanlal. of course you cannot imagine malayalam films without jagathi. Am one of the curators of Old Malayalam movies at http://www.moovyshoovy.com, and I couldn’t agree more with your thoughts, Jojo & cinematters ! I remind you all about forgotten ‘GREAT ACTRESSES as Philomina Chechi and Meena Chechi who contributed much to Malayalam Cinema and Our beloved Sankaraati Chettan and Otuvil Unnikrishnan Chettan. good evening gopala krishnan sir. Hey there. I stumbled on to your site after going on a binge watching spree of old Malayalam songs from movies on YouTube. I was born in Kerala but moved to the US as a kid and still recall hearing the songs my father played on the records and even on the radio station (Agashavaani). Both my parents are in their 70s and i have become nostalgic for things that remind me of them in their younger days. So it was a pleasure finding your site. Thank you for writing in to the Old Malayalam Cinema blog and your kind words. I guess it is notes like these that make my Sunday :). Have sent you a mail. Thank you once again, and hope to see more of you in these parts. I am amused to think that you would even broach the remotest possibility that this site might be “trite” as in ““I should be utilizing my time worthwhile elsewhere than pursuing something trite like this”,” On the contrary, I LOVE your site and it is anything BUT “trite”! Thank you so much for giving someone who loves the old pre-1970 black-and-white Malayalam masterpieces a reason to be delighted. Can you kindly advise if the DVD of “thalayana manthram” is available anywhere in Kerala. I would love have a DVD copy of it. Its slightly confusing too as the pic is of a VCD.Regards, cinematters. I think I should leave a word of appreciation for your blog as reading your blog is the best thing that goes along with my music addiction. Keep going and expand yourself to suggesting old movies which the new generation (including me) often misses. Being a movie buff I try to watch old movies for the sake of understanding the film making styles then and to enjoy the movies as well and suggesting more classics will only help people like me. Your blog has very interesting information about old songs – in particular the Top Five by Susie deserves appreciation. Some films are real hard to get these days as there are no VCDs available for them. Expecting more from your team on movies and actors. Glad to know that you are enjoying the cutting chais available from this adda, along with your favourite music 🙂 It is also nice to know that this little blog is fulfilling its objectives in its own pace, by familiarising those who love movies to the ones from yester years as well, cutting across generations and language barriers.Susie will be happy to know that her Top Five is amongst your favorites.Hope to see more of you in these parts going forward.Regards, cinematters. Great Site. Good to know efforts have been made to capture and seize a great yesteryears of iconic Malayalam Movie culture and as such as I don’t want to say this since Malayalam is our language, I am glad you use English as your medium. You may be surprised to know I’m only 25 years old and yet I see movies that were made 2 decades before I was even born. Just like you, I was born and raised in the middle East and currently living in Canada but I’m as mallu as a mallu can be :). My search for the 1988 Ravathi movie ‘kakkothikkavile appooppan thaadikal’ brought me to your website and I’m glad I found it. Keep up the great work CM. just returning to say once again how good your blog is….really enjoyed all the articles on srividya…i finally watched “apoorvarangangal” released 19 years before i was born…. one more thing …its finally feels nice when i can associate a name and picture with a blogger ( found it on the net ofcourse).so keep up the good work B.E…..
Nice to see your beautiful blog . In the future please make this site like imdb.com where people can rate a movie 0-10. Naturally then domainspace may have to be taken . What do you think is the prime reason for classic movies like “malayogam”, “Nakhashathangal”, “apporvam chilar” not been made available in market for general public..? Every other junk movie worth its salt has got millions of copy across all mediums..
Why are the so called copyright holders of these classics so insensitive to say the least.. not even releasing vcd’s..
vadakkan veeragatha is never going to hit on marker in recent future.. grihalakshmi production is asking to take the rights OF NAKASHATHANGAL, ADVAITHAM, VADAKKAN VEERAGATHA, SUJATHA, VARTHA and 10 other titles of GRIHALAKSHMI productions for a total sum of 40 lacs or so.. to every VCD companies approaching them for the right.. how can they pay this much amount of these 10 movies!!!!!!! Totally dig this site. Hats off for the effort. English would let your content be enjoyed by a larger crowd (though I’m not sure how much it would be appreciated beyond the Malayali diaspora), but if you want to switch to Malayalam – means for writing it are easily and plentifully available. The software visionaries have already brought Malayalam into cyberspace. There’s Keymagic for Windows and Mac -http://junaidpv.in/?p=186 and things like IBus for Linux and browser-based tools like Narayam. P.S. Personally, I’d wish this site to have content in both Malayalam and English. Thank you for passing through and writing in. Glad that what you read was worth your time 🙂 The reason for writing in English, as of now, is because its a medium I am more comfortable in expressing my thoughts. Yes, my vision is to have every article in Malayalam and English and it would be too cumbersome putting it together in the ‘limited’ functionalities of wordpress.com ( Unlike a self-hosted site with WordPress as the CMS which i would migrate to, eventually). But English, as a language and a medium of engaging expression is not a steep hill to climb for us, as far as I know and I have seen. I meant to say that if lack of a suitable input method was all that was keeping you from posting in Malayalam, that problem is already solved. I can totally understand your position. The Malayalam movie buff in me is in awe of this little treasure trove that you’ve laboured to build, and I’ll be glad to chip in with something, if time permits. Seeya around. Looking forward to your inputs 🙂 That would be wonderful, or as CID Nazir would say, “Dofinitely Great !”. Thanks so much. I found that DVD/VCD is not available in market for below titles. So, where to atleast get a good VHS tape 2 DVD/VCD conversion for these? I’m from Bangalore. Kindly advice.. Thanks CM for the prompt reply (as always)..
Panasonic makes a VHS-DVD converter which can easily convert old movies into DVd wihout losing quality. Just incase you are not able to get the DVDs, Thomsun or Silver Video tapes which are of good quality can be covnerted into DVDs using this coverter. hi c.m.,what a joy to find this site.i was looking for some information on udaya studios and stumbled in here.thank you.it is so good to find like minded people.and your site is a gold mine of information.thanks again. “Oru CBI Diarykkurippu” on moserbaer is not to be found on their official site atleast.. any idea from where I would be able to place an order..? Any idea if these are available in India (retail or online)? i am a fan of old malayalam movies especially the songs. those days you can buy one movie album and definitely enjoy all the songs. don’t know what is happening now a days with malayalm musics. i am happy to say i lived my college life with wonderfull actors like Nazir, Madhu, Sathyan, Bhasi, Bhahadur to Alumoodan. so innocent comedy scenes.. also saradha to vijaya sree. further how can u explain villains like ummar to joseprakash. one of my favourite actor was N. Govindhan kutty. Any idea where he is now and what he is doing. Thank you for your kind words. I will have to disagree with you on the ‘bible’ part of it, with all due respect. This is just my personal observations and perspectives, through which there is, with pleasure, an exchange of information on certain topics and personalities. I would also urge you to explore other sources too to reconfirm what you read through here, after all, to err is human. Glad that, regardless, OMC has been able to engage you and interest you. And about the name, ah..after all, what is in a name ? 🙂 The most important aspect is to have a healthy exchange of information, and we are having it here, aren’t we ? OMC has a Facebook Page which you can join to keep yourself updated on the latest posts, or you could also subscribe to the blog through the Feedburner link. Thank you once again for your regular visits and feedback…Regards..cinematters. PS: While in the subject of QUIZ, I hope you have gone through the fabulous questionnaire compiled by grandmaster Rajesh on Malayalam Cinema. If you haven’t, you could access it “>here. 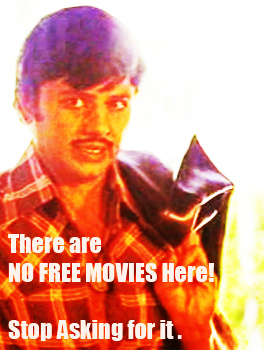 sir, i have got a collection of morethan 3000s of malayalam – hindi old movies colletion. if you have the habit of collecting films, you can contact me..
Firstly, let me express my deep appreciation for your work on this website(blog?). Every bit of this website exudes the dedication and sheer passion that you clearly have for quality Malayalam cinema. As a Malayali myself and someone who is passionate about cinema, I must say that all of us Malayalis ought to be very proud of the body of world-class cinema that has been created over the years in Malayalam. As a people from a tiny state tucked away in the corner of the country, we sure do punch way above our weight when it comes to artistic output, atleast in the celluloid format. Having said that, I completely agree with your comments about the outrageous situation with the availability (rather, the lack of it) of so many of the most cherished and valued works in Malayalam cinema. It is disgraceful, unacceptable and symptomatic of some very ironic issues in a state that is supposedly the most literate AND socially forward-thinking in India. Art needs to be preserved for posterity because art is what really differentiates us humans from the rest of the living world. On a lighter and much more encouraging note, I contacted SB creations on the mobile number that you kindly provided and happened to speak to the guy who runs the show – one Baiju. He told me that he has actually bought the rights to ‘Nakhakshathangal’ and is currently working on digitising and transferring the original print on to DVD format, which is excellent news. Needless to say, I immediately requested him to let me know as soon as the DVD is ready for sale so that I may purchase a few copies myself. I will be sure to post on this website as soon as that happens. Thank you very much for sharing the contact details of SB Creations. That was really fast..:-) But, i was told that these movies are not yet released. Also, is there any good print available for “panchavadi palam” (Not the T-series print). I have DVDs of both Sasneham and Panchavadi Palam, and I bought them a couple of years ago, so they are definitely available. Cinematters, well, my version of Panchavadippalam is also from T-Series, but I do not know if it’s from a different batch, it’s definitely not as bad as yours seems to be. I bought it a couple of years ago. I mean, it’s not the greatest, but it’s better than a VCD print. My copy of Sasneham, along with a clutch of others is with a friend of mine. As soon as I get it back, I’ll post the production details. But, having this one with me, I can say for sure it’s quality is horrible (T-series advanced picture quality). i have both the movies with me. fair clarity prints. eureka..eureaka…cinematters inte peru kandupidiche !!! clever me, right ?? I just stumbled upon it in another website..
🙂 Never realised there was time, energy and resources being expended online, coupled with single-minded scary determination to get to the bottom of Cinematters. Thank God you found it, St.Google be praised. Glad you found your EUREKA Moment! :D.. Very Nice. I was looking for some old malayalam vcds of kottarakkara. I accidentaly slipped into this site. But it is a great attempt by you. I just started to explore this but thought to convey my regards and congratulations in between ( in office..) .. Hats off … All the best..
Great effort ! thanks for enriching my mallu film quotient. It is also a fact that the 80 s movies did signal the departure of the tamil style of dialogue delivery or in other words thamizh chuvayula malayalam, which one can find in the movies of the 60s through 70s . A very refreshing change at that. I think to a very great extent you are successful in transmitting your passion for movies to the visitors here. I feel lucky to have visited and I don’t intend to leave. Thanks Doc for those kind words.Look forward to your inputs and will surely keep in touch.Have a great day. hey dam good hats off to you – excellent !!!!!! Thanks MK. Hope to meet you the next time you are down home….Cinematters.